The Australian flag was adopted in 1909 and its design reflects historical ties to the Great Britain. As in the case of the British flag, the background is blue, but the Union Jack flag is reduced and placed at the top of the left side. 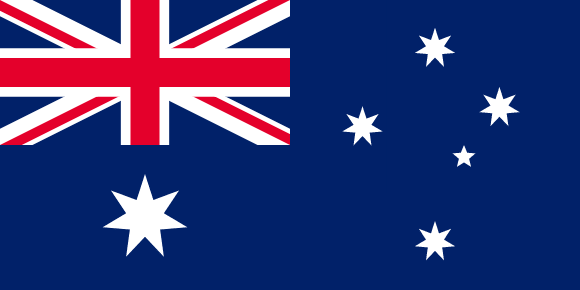 Below the Union Jack, there is a seven-pointed star, whose six tips represent Australian states and the seventh tip refers to two independent federal territories. On the right half of the flag, the constellation of the Southern Cross, which dominates the Australian sky, stretches. Indigenous Australians have their own flag. Via red and black stripes and yellow disc, their flag is trying to represent the indigenous tribes, the earth and the sun.